Educated at St. Andrews College in Dublin, and later at the Blackrock Academy, he commenced his career in Irish Banking at The Royal Bank of Ireland before transferring to Merchant banking in the City of London with American Express International Banking Corporation. He joined the Card Division of American Express, pioneering the use of cards in Europe. Then, as a Director of American Express Ireland, he built the card business in Ireland to become a household recognised brand. He was also responsible for the development of Travel Related Services, which expanded his portfolio to include the business development of the Card, Business Travel and Travellers Cheques. In his capacity as a Marketing Consultant he has specialised in Corporate Communications, Strategy and Planning and has lectured on various aspects of marketing, public & media relations and communications. He has successfully completed marketing assignments for Corporate Organisations, Outplacement Firms, Executive Search Companies, Renewable Energy Firms, Beauty Groups, Craft Organisations and Hospitality Institutes. In his business capacity he was elected and appointed Chairman of Hospitality Ireland, a Cooperation Ireland initiative – to successfully bring together tourism and hospitality organisations from both Northern Ireland and the Republic of Ireland as an integral part and contributor to the peace initiative, to create greater understanding, development, dialogue and to share best practice to the greater good of the industry on the island of Ireland. He was honoured for his work by the industry, being elected and enrolled into the College of Fellows of the Irish Hospitality Institute. He has been President of SKAL International- Dublin, Chairman of World Vision, and Director of The Panel of Chefs of Ireland, a member of the Marketing Institute, the Marketing Society and the Public Relations Institute of Ireland. 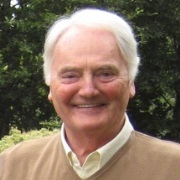 He served as Secretary General of the Ferns Union of Parishes, Financial Advisor to the Diocese of Cashel & Ossory Orphans Society and as a board member of his alma mater, St Andrews College and is a Past President of the College Alumni. He is also a member of the Lions Clubs International. Ray retired as Director of GTTP Ireland in August 2016, but will continue as an advisor to the GTTP.